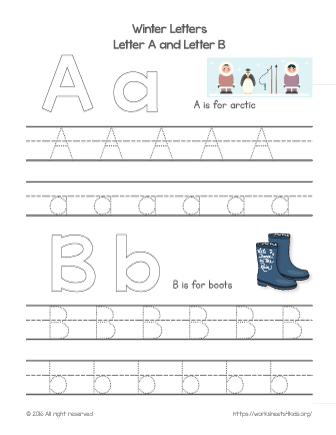 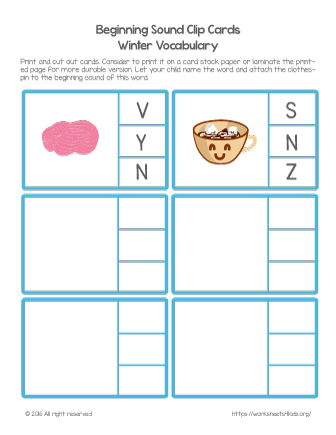 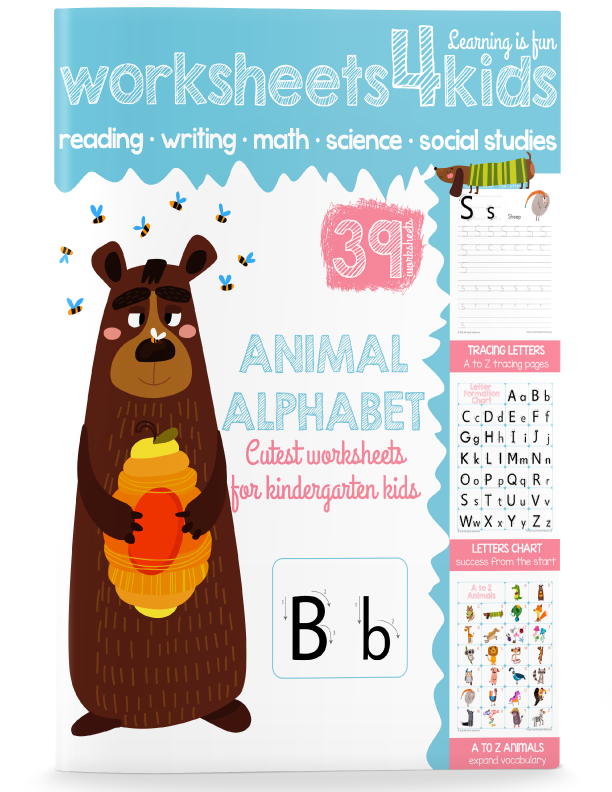 Bring a winter spirit in your classroom with these colorful winter related A to Z alphabet worksheets. 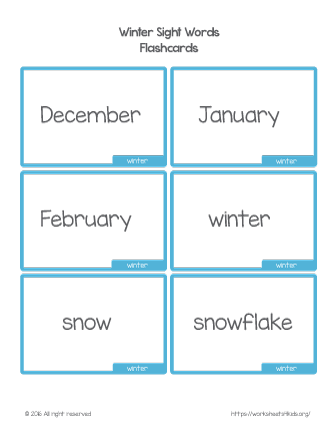 Winter sight words flashcards to learn new words: December, January, February, winter, snow, and snowflake. 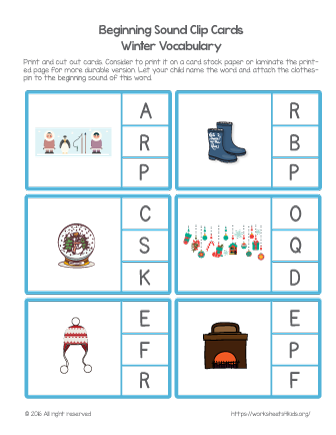 Practice to isolate beginning sound with your kindergarten students and bring a holiday spirit in your classroom. 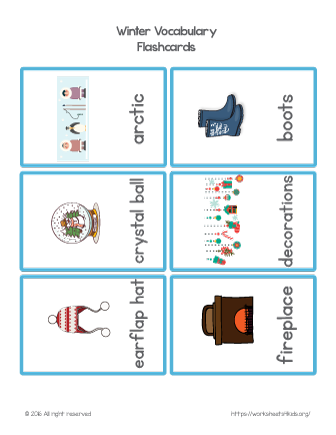 This set contains six cards with pictures: arctic, boots, crystal ball, decorations, earflap hat, and fireplace. 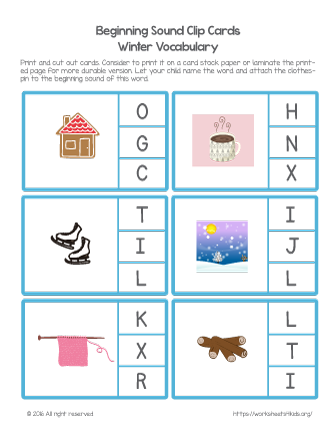 Learn new words in a fun and active way. 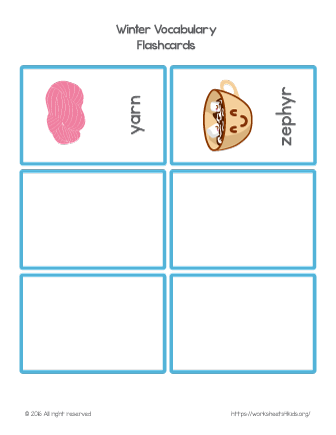 The last set covers letters Y and Z and contains words yarn and zephyr. 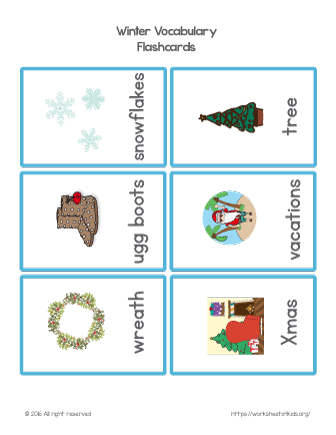 Set 4 covers words from S to X and contains words snowflakes, tree, ugg boots, vacation, wreath, and Xmas. 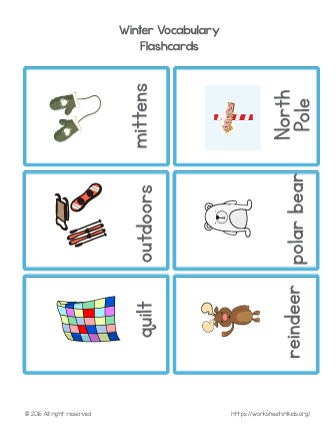 This set covers winter and Christmas words mittens, north pole, outdoors, polar bear, quilt, and reindeer. 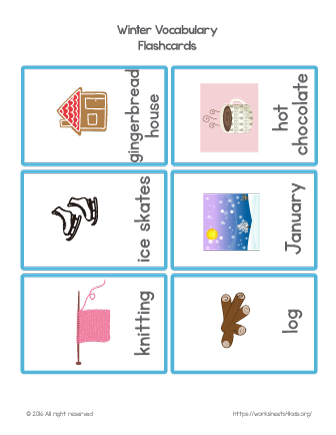 The set contains six winter flash cards: gingerbread, hot chocolate, ice skates, January, knitting, and log. 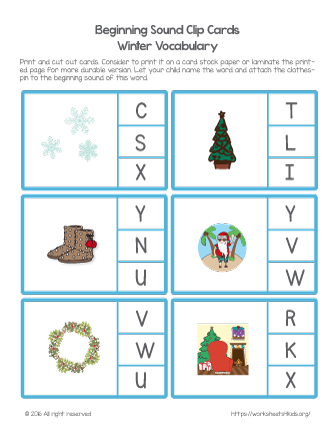 Bring a winter spirit into your class or home. 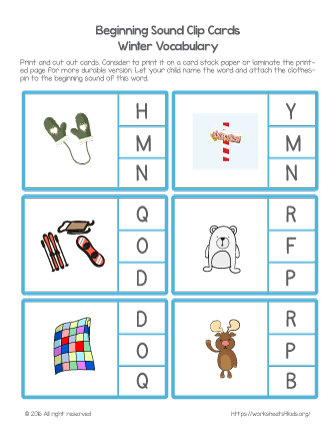 These flashcards enrich vocabulary and promote speaking skills.